Alex Tziolis and Esmael Goncalves scored their first Hearts goals as Ian Cathro's side beat 10-man Motherwell 3-0 at Fir Park. Motherwell lost a man for the second Saturday running when Carl McHugh was sent off by Andrew Dallas, who also dished out six yellow cards. The Irishman went in strongly on Don Cowie, getting the ball and man with a head-on sliding tackle in the 53rd minute. Tziolis soon scored with a deflected strike from long range and Goncalves struck twice in the last six minutes as Motherwell chased an equaliser. Motherwell were without striker Scott McDonald following his red card against Rangers last weekend and Lionel Ainsworth was brought in to play up front. Zak Jules made his first start as Mark McGhee went with five defenders in the wake of Hearts' 4-1 victory over Rangers. The visitors gave Greek pair Tasos Avlonitis and Tziolis their full Ladbrokes Premiership debuts. The home team's formation saw them sit in for much of the first half, and although Louis Moult headed against the underside of the visitors' bar from Richard Tait's cross, the striker was flagged offside. The injured Tait went off for Jack McMillan in the 17th minute but Motherwell remained comfortable in defence despite Hearts' superior possession and territory. Goncalves and Jamie Walker, twice, had efforts at goal but could not hit the target. 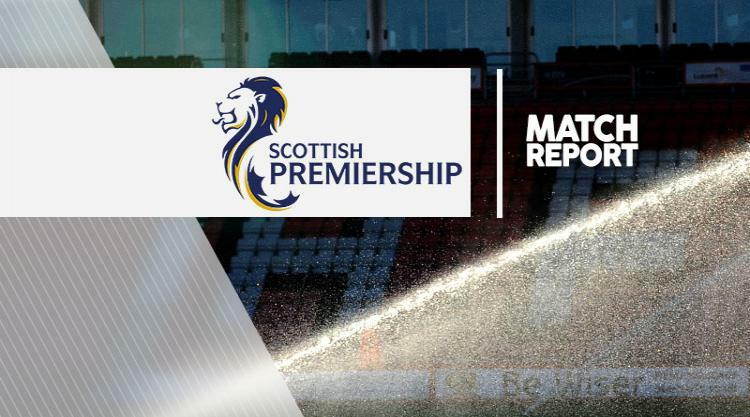 Motherwell goalkeeper Craig Samson pushed away Malaury Martin's free-kick and the hosts came close with their first corner in the 39th minute when Avlonitis cleared Ainsworth's shot off the line. The most memorable moment of the half came soon after when Martin was booked after Moult fell over team-mate Ainsworth's foot. The injustice was almost compounded but Moult curled the free-kick just wide. Hearts striker Bjorn Johnsen was replaced by Choulay at half-time and the game restarted in similarly scrappy fashion before McHugh was sent off. Motherwell immediately made two changes, Lee Lucas and new signing Stephen Pearson replacing Steven Hammell and Ainsworth as they moved to a 4-4-1. Hearts took just six minutes to go ahead against the 10 men but Motherwell had plenty of men behind the ball and were unfortunate as Tziolis's shot looped up and over Samson off the foot of Keith Lasley. The hosts responded well as Lasley shot just wide from 20 yards and they retained hope after Goncalves twice came close. Pearson was inches away from connecting with Chris Cadden's cross but Hearts put the game out of sight in the 84th minute when Choulay slipped the ball through for Goncalves to slot home. The same pair linked up again four minutes later as the Portuguese forward swept home a low cross.